Three times a year we publish the Runnymede Meccano Guild Magazine, a 60 page full-colour publication which is generally recognised as one of the best Meccano magazines available. The magazine focuses on the needs of both the novice and the experienced modeller and topics range from news items, technical details of mechanisms to full-blown constructional articles. 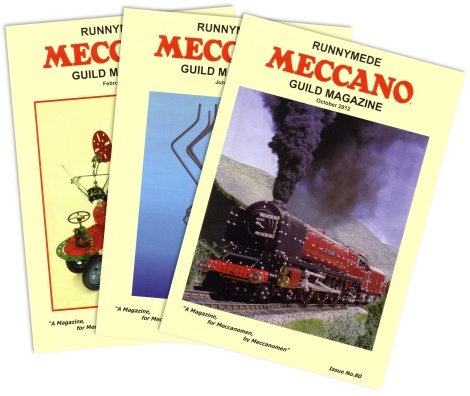 Annual membership of the guild includes a three issue subscription to the Runnymede Meccano Guild Magazine. You can also buy back-issues in our shop.